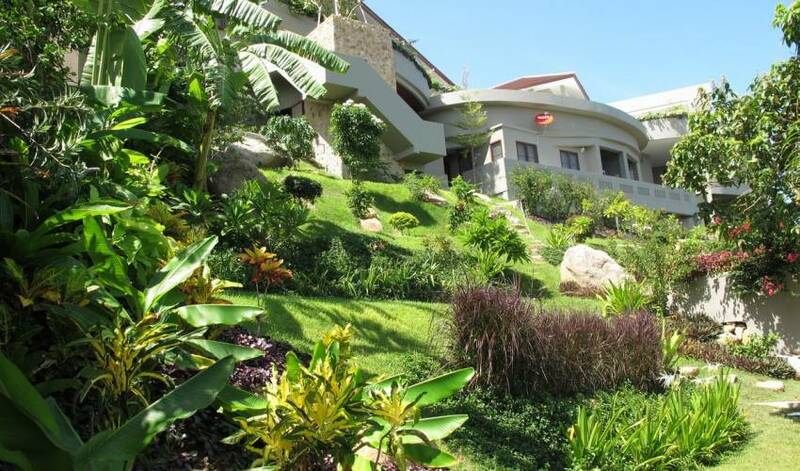 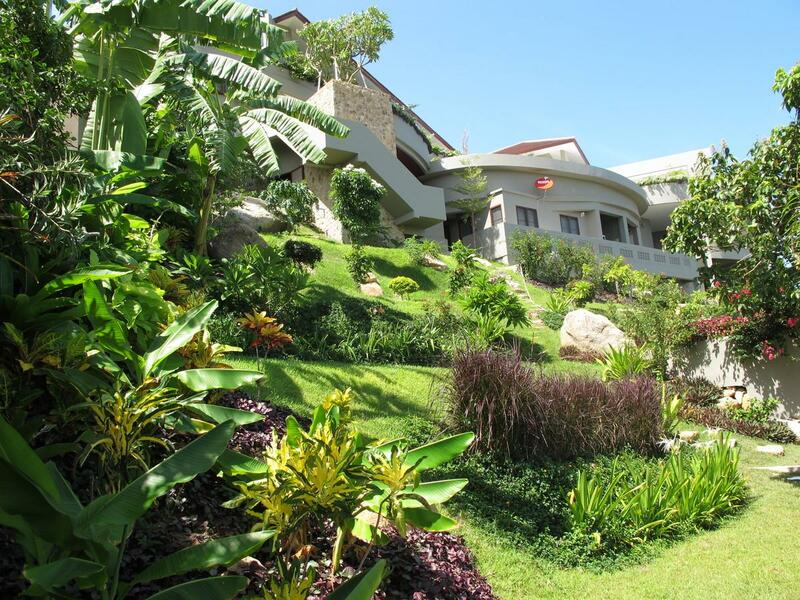 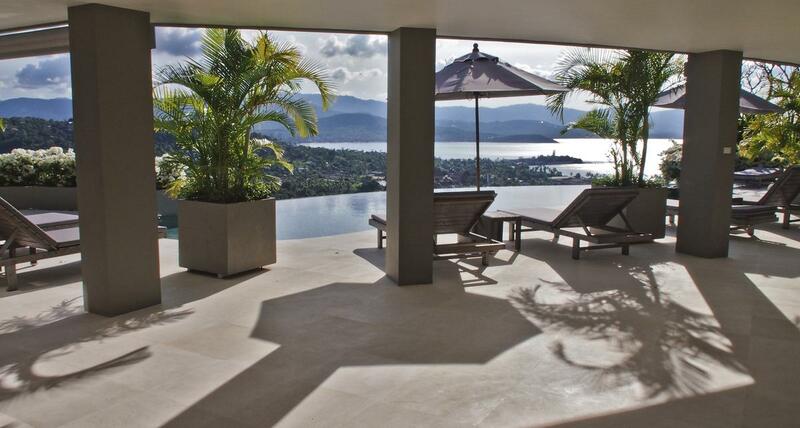 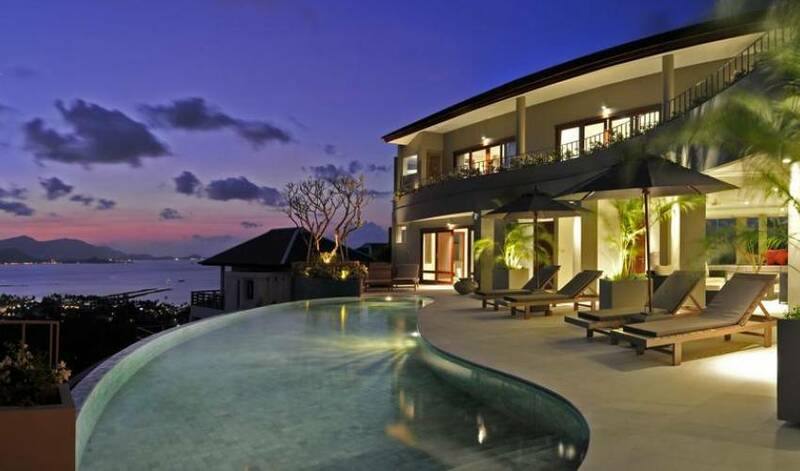 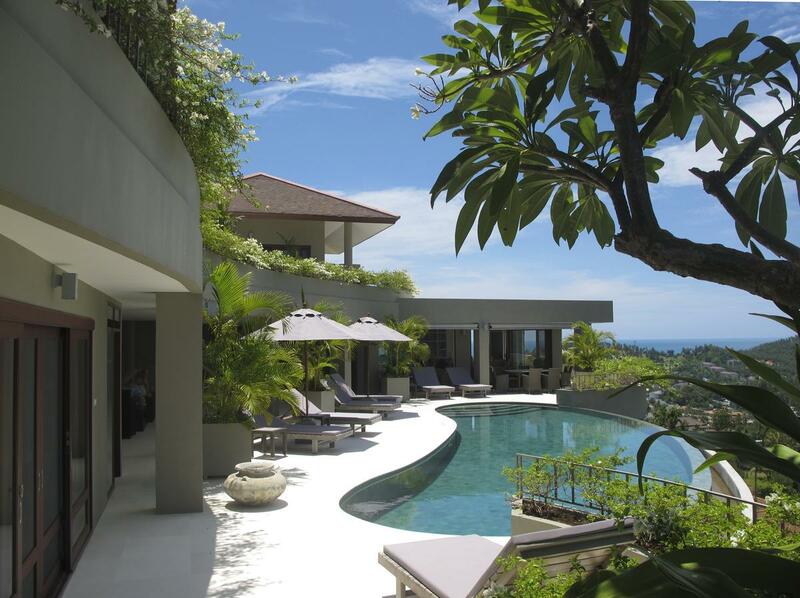 This stunning 5 bedroom hilltop villa has a 180 degree panorama with vistas of both sunrise and sunset. 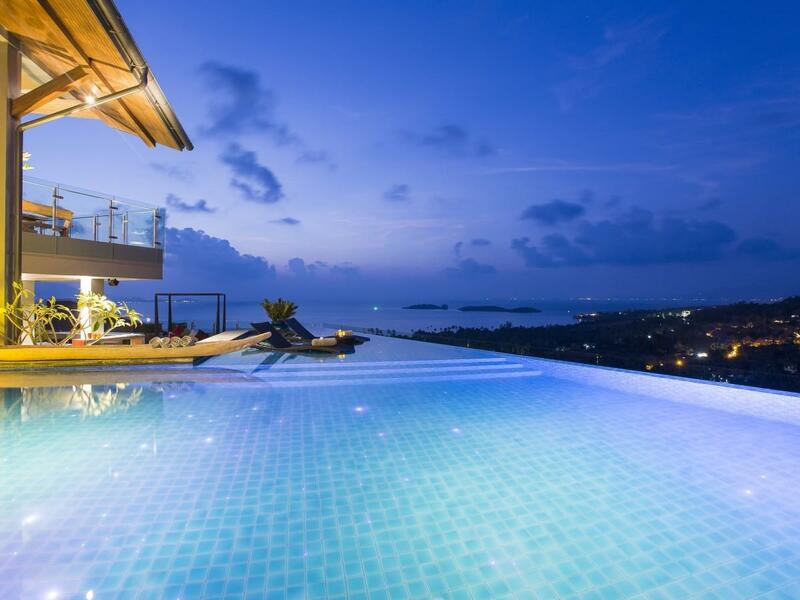 Take in the first light of dawn as the sun rises over Choeng Moen Bay and relax with a drink on the spacious pool deck and watch the stunning sunsets over Big Buddha as the sun sinks over Bhoput Bay. 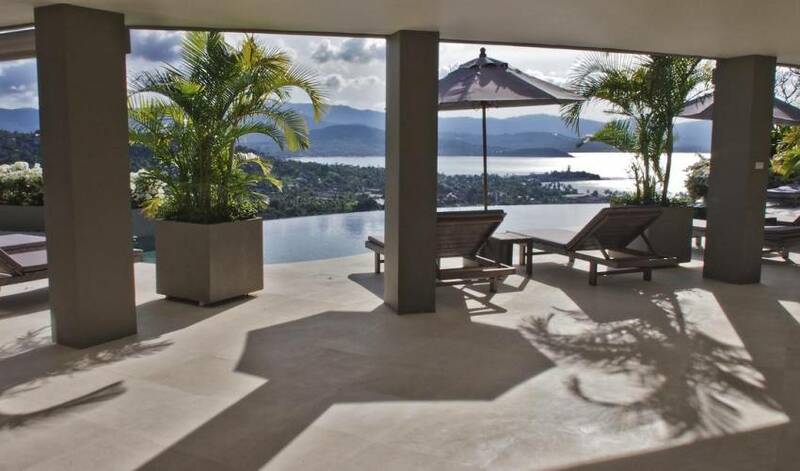 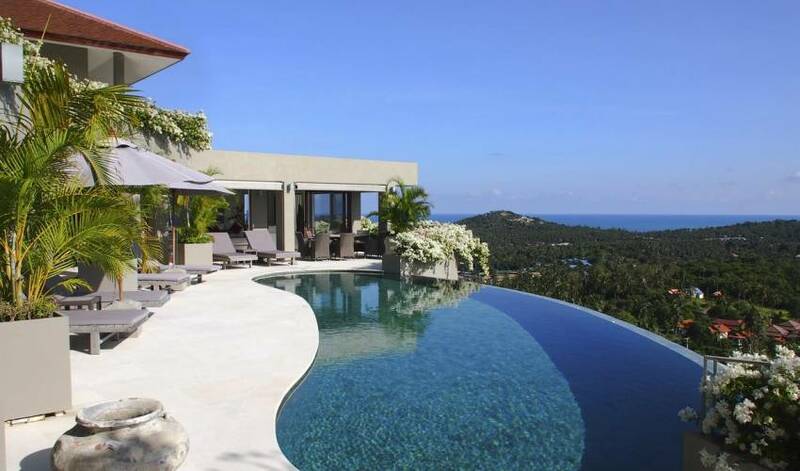 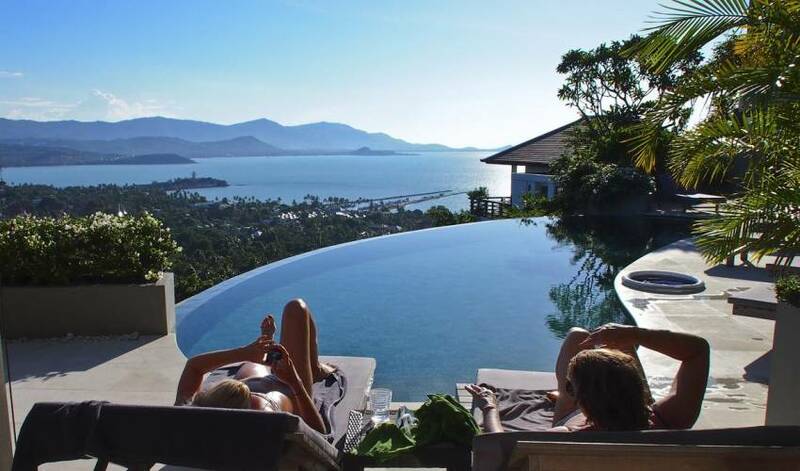 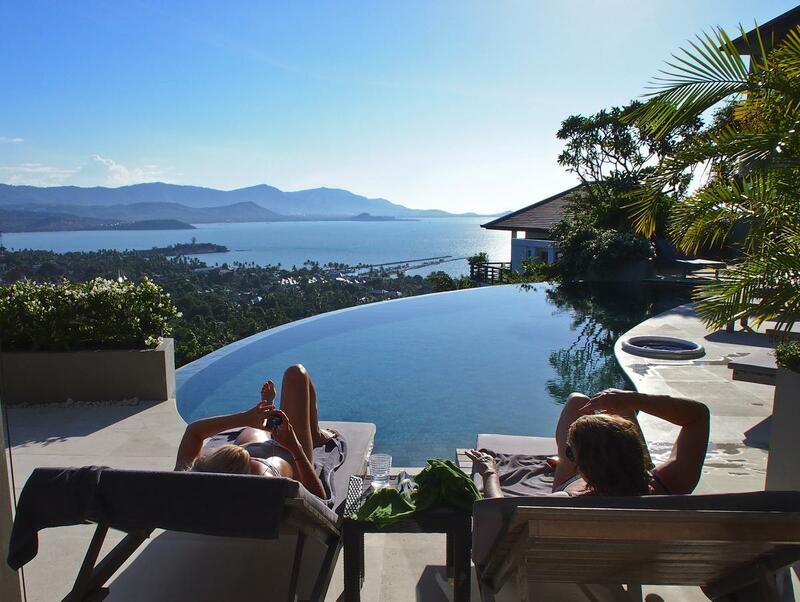 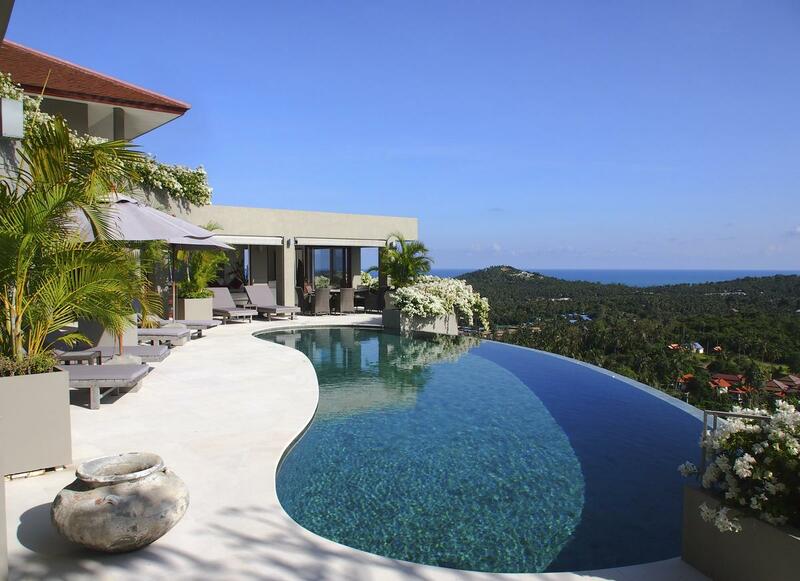 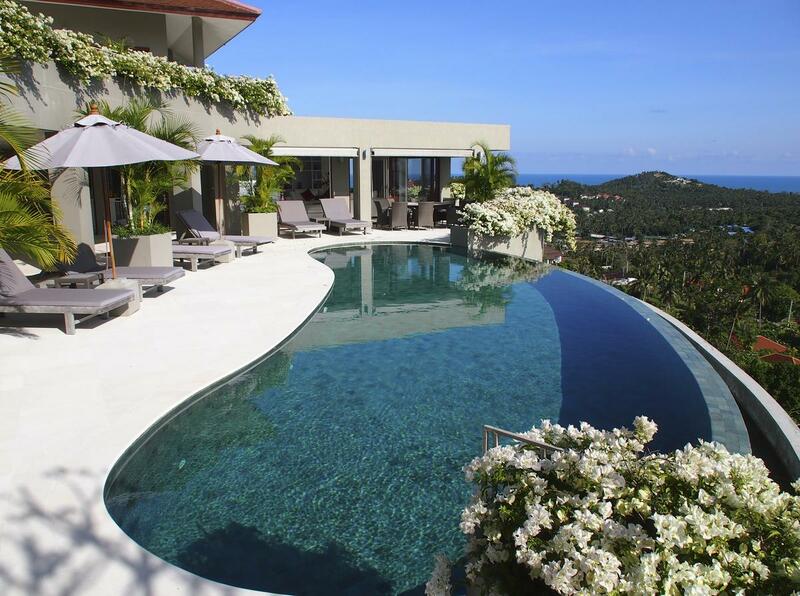 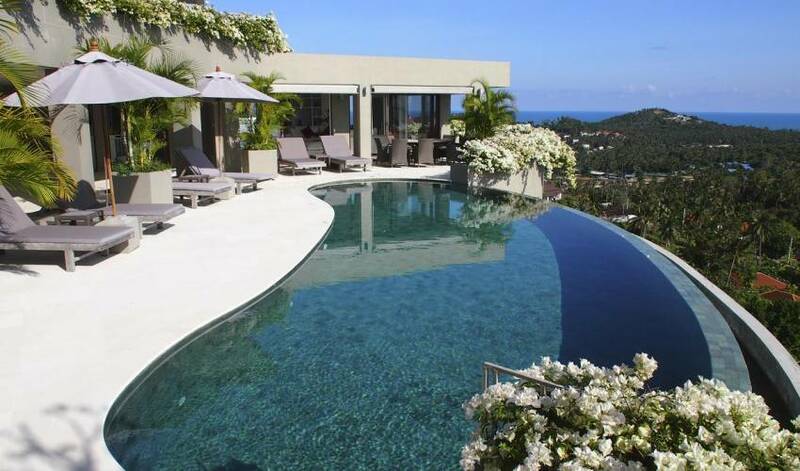 Set within a private gated luxurious estate with round the clock security, the villa is in the much sought after North East of Samui in Choeng Moen. 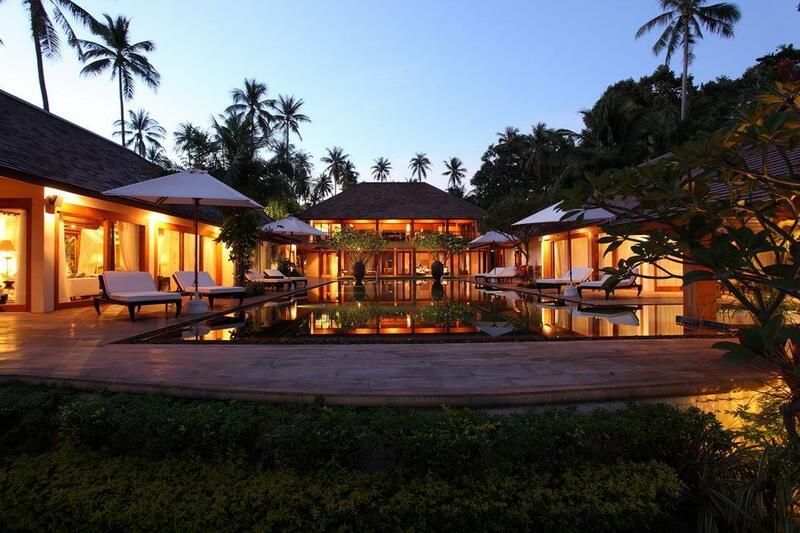 By using indoor tropical plants, an eclectic selection of Asian artwork and the large tropical gardens a lush paradise is created both in and outdoors. 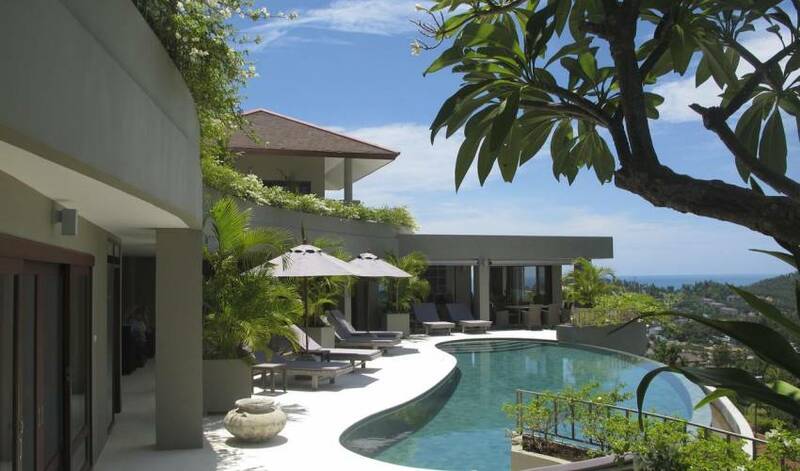 The Interior designer has created an overall paradise, giving the feeling of modern and old with artistic use of primitive ceramic and wooden artwork from Thailand, Bali and Cambodia.